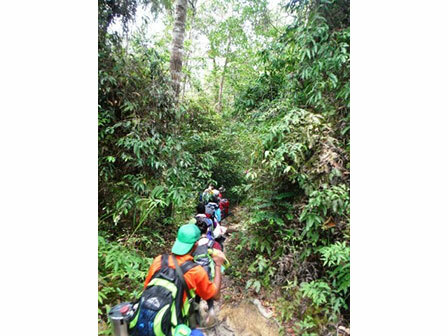 The Duke of Edinburgh's International Award Foundation is a registered UK charity whose mission is to promote The Duke of Edinburgh's International Award, provide young people with The Award, and preserve the quality of The Award worldwide. Straits International School is now a National Award Operator and Independent Award Centre (IAC), with our regional office in Sydney, Australia, where we are part of the Asia Pacific region, which spans from China, throughout South East Asia and Australasia. Taking part in The Award offers young people formal recognition for their achievements and is seen by many educational institutions (including Universities) and employers as a valuable development programme that equips young people with practical and social skills. Set their own goals and record your progress. Make a positive impact on the lives of others through community service. Learn valuable practical and social skills for career development. Become independent Global Citizens by learning practical life skills. Plus, if they’re already taking part in activities, such as sports, instrumental lessons or volunteering, they can continue with these and receive recognition for them as part of their Award. Service: undertaking service to individuals or the community. Exploration: planning, training for and completion of an adventurous journey with a further focus on the environment or community service. What Do Participants Need To Do To Get The Award? 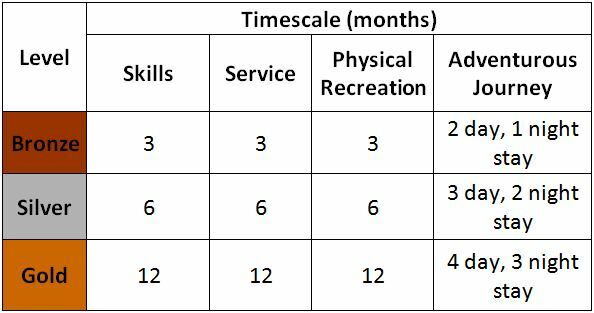 For each level, the participants must do a minimum of an hour a week of the activity for the following lengths of time, level dependent. Improved educational attainment. Improving young people's attendance at school and college, their commitment to education and their achievement levels. Improved employ ability and sustainable livelihoods. Improving young people's employ ability levels and ability to support themselves financially when they need to do so. Improved health and well-being. Increasing young people's physical fitness, and their own sense of emotional and mental well-being. Increased participation in civic life. Increasing young people's involvement in volunteering and community activities, and their participation in the social and political life of their community. Social inclusion. Improving community integration, acceptance of individual differences, and increasing the access of all young people to development opportunities. The environment. 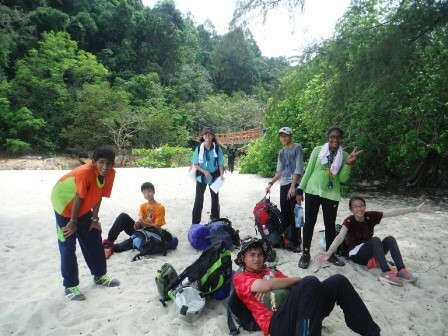 Increasing young people's awareness of environmental issues, and involvement in sustainability initiatives. Gender equality and empowerment in women. Bridging the gender gap and empowering marginalized young women, building their self-worth and enabling them to demonstrate their potential. Any further queries about The Award, please visit their website: http://www.intaward.org/ If you have any questions that you would like to ask staff delivering The Award at the school, please email or call the school and speak to The Award Leaders: Mr Mike or Mr Joe. Students from Year 9 and 10 took part in The Award. Training in route planning, map reading, camp craft and survival techniques among many others. 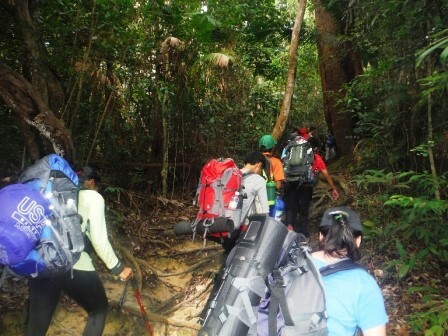 Students took part in expeditions to Taman Negara and Taman Rimba using their practical skills to plan their own routes to a camp site, set up camp and cook for themselves. Defying the odds to get gold: In this film Spencer explains in more detail how The Award has helped his rehabilitation process.